Mumbai’s Diya Chitale hogged the limelight at the National Sports Club of India, winning the Best TT Player of the 2017-18 season Award at the Mumbai City and Mumbai Suburban District Table Tennis Associations’ (MCDTTA and MSDTTA) annual felicitation function late on Sunday evening. The 14-year-old paddler received the loudest cheers from the huge gathering, largely comprising of budding table tennis players from the city. Diya’s brilliant run during the season was unmatched, as she bagged several medals at both the national and international levels. Her list of accomplishments include the team gold and the singles silver medals at the Belgium Junior and Cadet Open and the team silver at the Slovenia as well as the Czech Junior and Cadet Open tournaments. 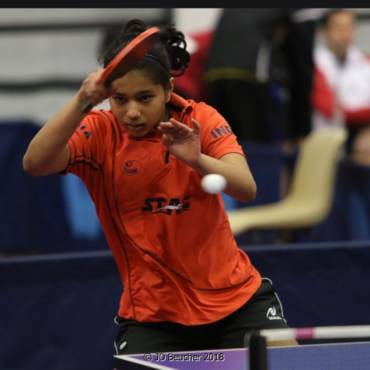 She also won the team bronze and the singles bronze at the Croatian Junior and Cadet Open and the doubles and the team bronze at the Jordan Junior and Cadet Open, besides clinching the team gold and the doubles silver representing Team Asia in the World Cadet Challenge. 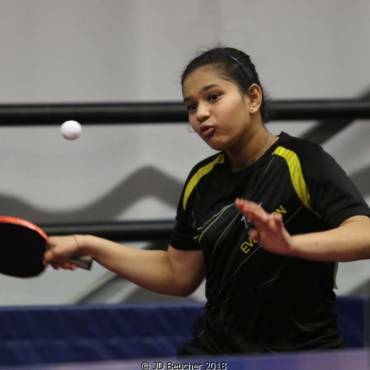 She ruled the roost at the National Championships too, winning the sub-junior girls’ singles, doubles and team titles and is currently ranked third in her category. As many as 68 players, 17 coaches and seven administrators were rewarded for their fine displays during the function, put together by Ask, 11Sports and NSCI. Mudit Dani (singles title at the 2017 Butterfly Badger Open and team golds at the El Salvador Junior and Cadet Open and the New York NCTTA Divisional), Dev Shroff (team silver at the Indian Junior and Cadet Open and the team bronze at the Czech Junior and Cadet Open; he also rose to India rank No. 2 in sub juniors), Hrishikesh Malhotra (team silvers at the Indian and the Oman Junior and Cadet Open tournaments), Jash Modi (team silver at the Oman Junior and Cadet Open), Maanav Mehta (team bronze at the Tunisia Junior and Cadet Open), Manushree Patil (team gold at the Tunisia Junior and Cadet Open, team silver and doubles bronze at the Jordan Junior and Cadet Open and doubles silver at the Indian Open, all in under-18 category), Ananya Chande (singles and team bronze at the Oman Junior and Cadet Open) and Mihika Rohira (team silver at the Slovenia Junior and Cadet Open, team bronze at the Oman Junior and Cadet Open, singles bronze at the India Open) were the other players honoured for their excellence in state, national and international events. 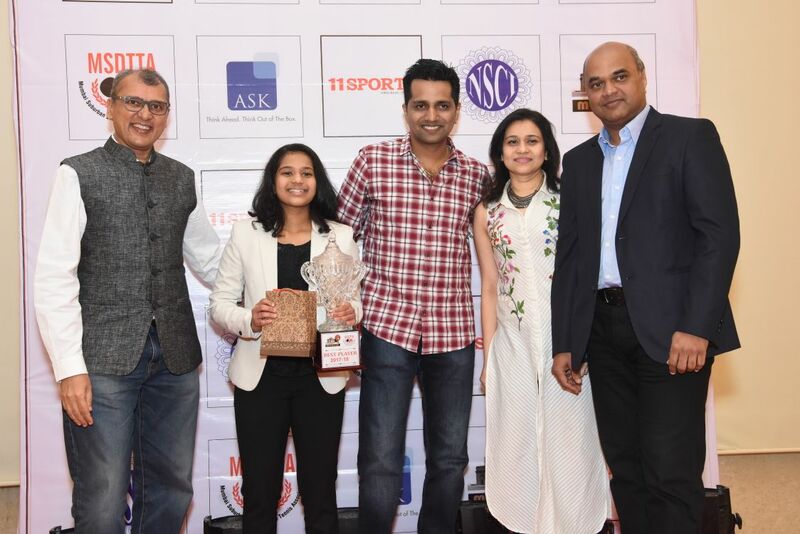 Former table tennis stalwarts Katy Khodaiji, Kamlesh Mehta, Arup and Kanchan Basak, S Ramaswamy, former badminton doubles star Leroy D’Sa and ace cueist Nalin Patel graced the occasion and also presented the awards.